Blue Love2Love Kids Baseball Cap Only $14.40! You are here: Home / Great Deals / Blue Love2Love Kids Baseball Cap Only $14.40! Since little sluggers need love too, the I am Peace Blue Love2Love Kids Baseball Cap for Only $14.40 is the perfect pinch hitter for any game day, whether it’s rainy or sunny! 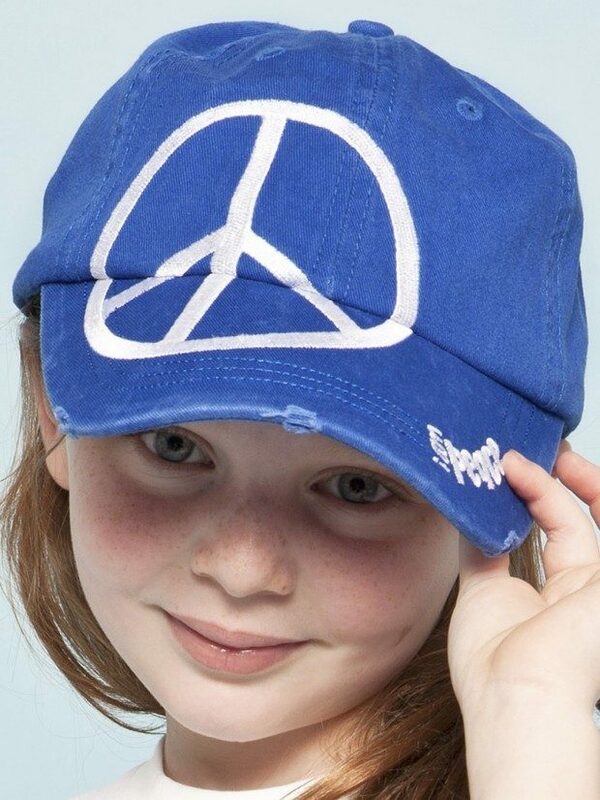 This junior head topper enjoys a bold blue hue, an embroidered I am Peace slogan and symbol, adjustable velcro closure, and our signature Love 2 Love patch! See what else you can get at the 60% Off Flash Sale!